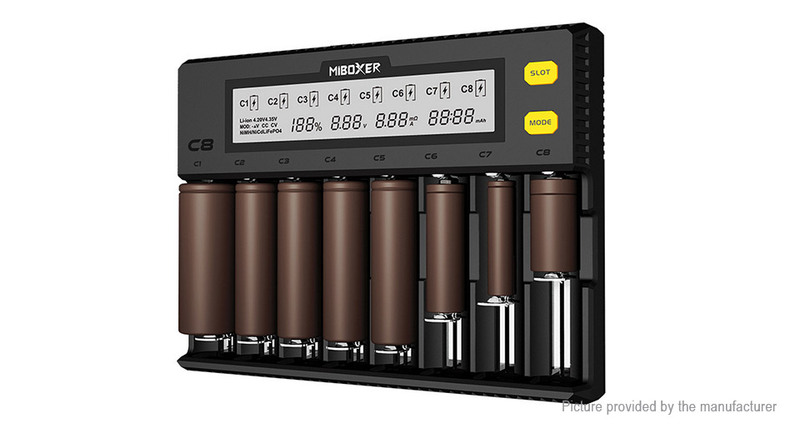 Suitable for different types of cylindrical rechargeable batteries. Single-channel charging current up to 1.5A. 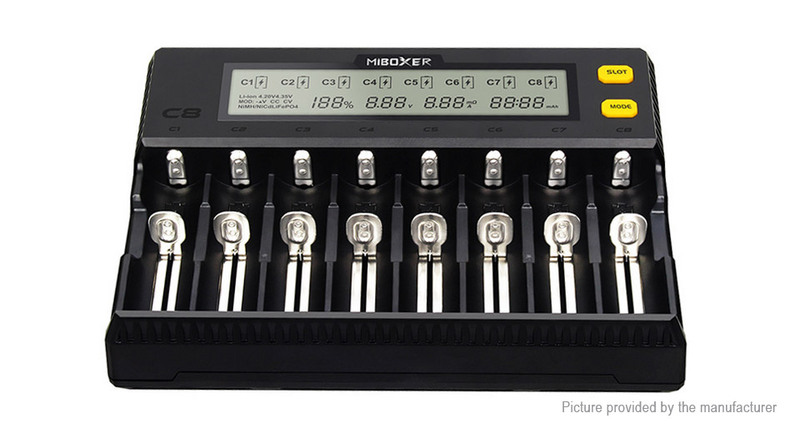 Can set any individual channels charging current, batteries types. 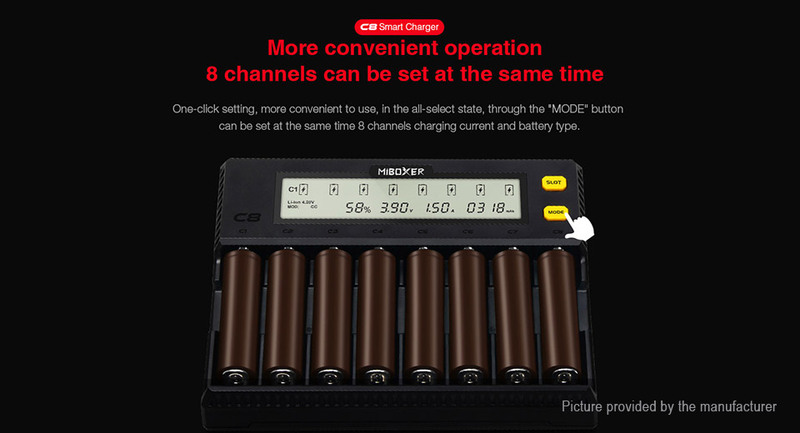 Can set the charging current, battery type of all channels at the same time. Automatically stop charging when the battery was fully charged. With reverse-battery and short circuit protection function. 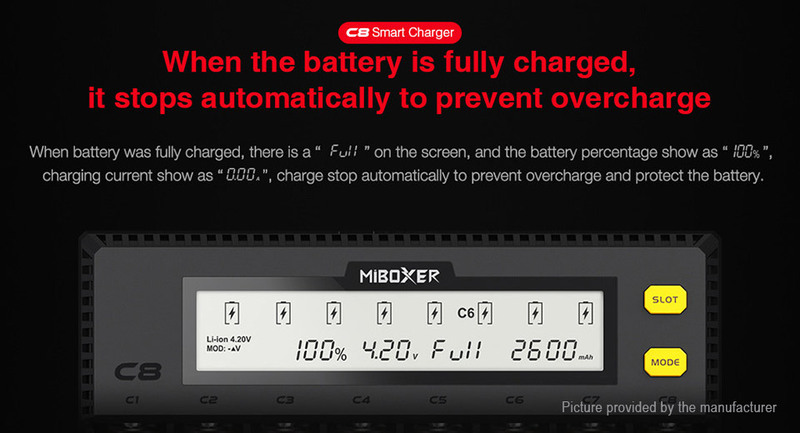 Automatically detects the battery and displays the charge status. 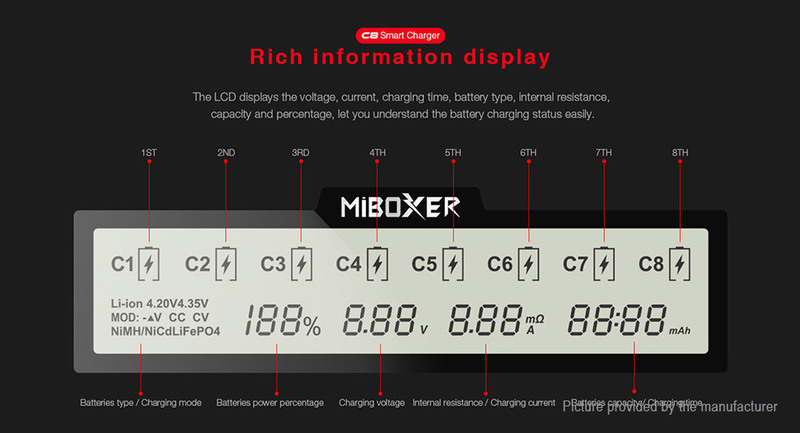 Automatically detect batteries power percentage. 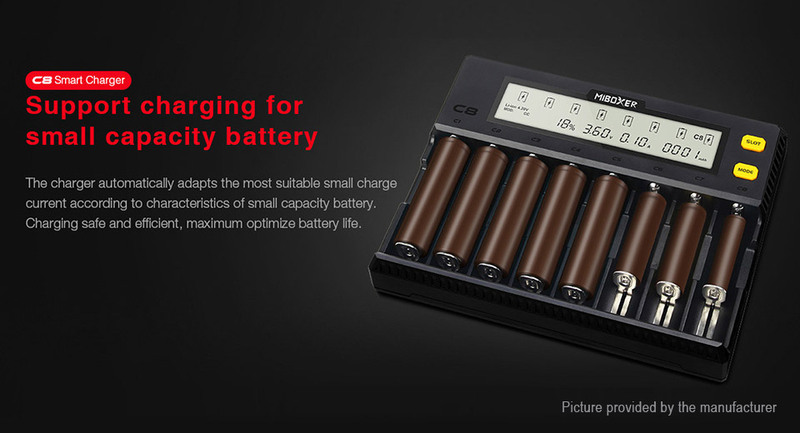 Measure the batteries capacity by charging. 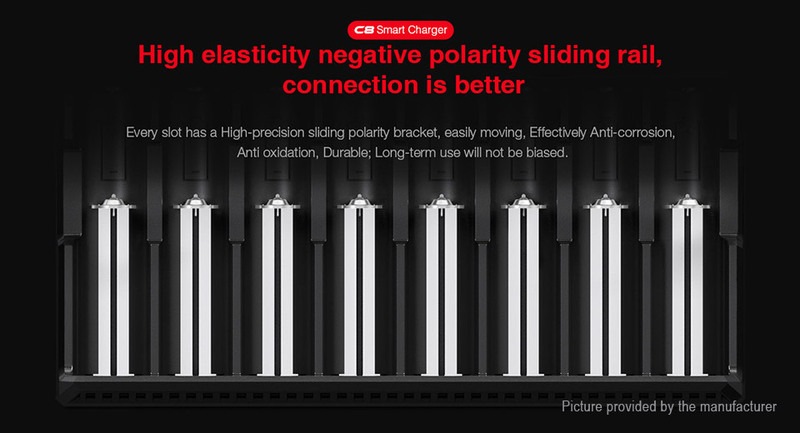 Supports 8-channel simultaneous independent charging without affecting each other. Supports small capacity battery charging. 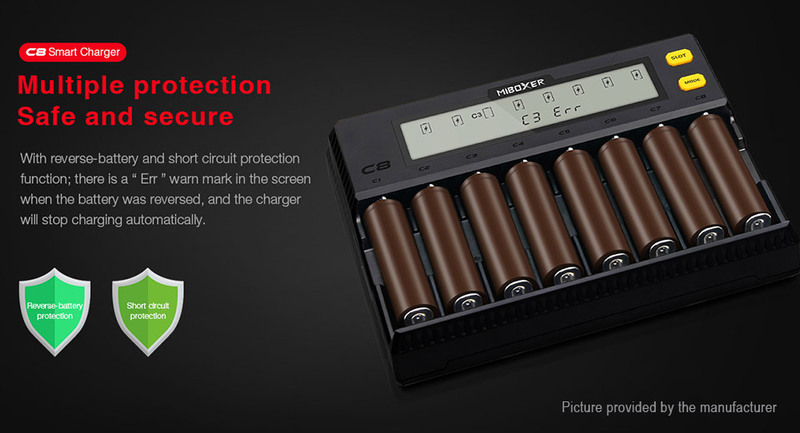 Supports lithium battery repair function. Supports DC 12V car charger. Made of PC fire retardant materials.